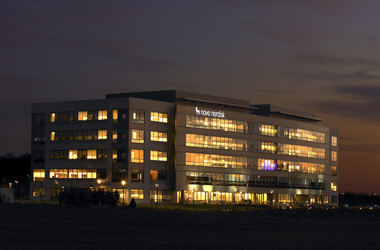 As a global pharmaceutical company, Novo Nordisk, is a world leader in diabetes care, dedicated to researching and developing new products and treatment options. 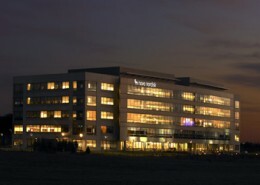 Novo Nordisk also produces many other valuable pharmaceutical products. 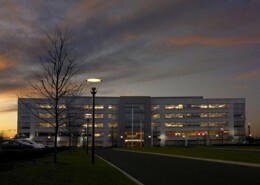 Novo Nordisk recently constructed a new five-floor, 167,000 square foot North American Headquarters, located in Princeton, New Jersey. 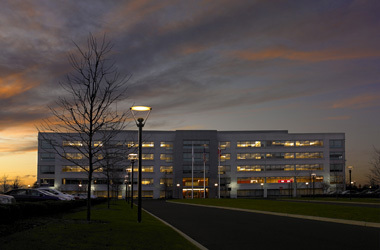 The new headquarters included office spaces, support, training areas and public spaces. 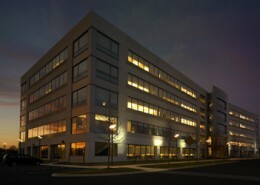 Hatzel & Buehler performed the electrical work for the project, including furnishing and installing lighting fixtures, switchgear, fire alarm and devices. Hatzel & Buehler provided a Lutron Ecosystem Lighting System consisting of occupancy sensors, dimming and daylight harvesting required for certification of the project for LEED Silver rating. Additionally, in keeping with the sustainable design of the project, Hatzel & Buehler participated in the construction waste management plan that entailed recycling, reusing or salvaging the waste generated by our work. The project was successfully completed within a very aggressive schedule.